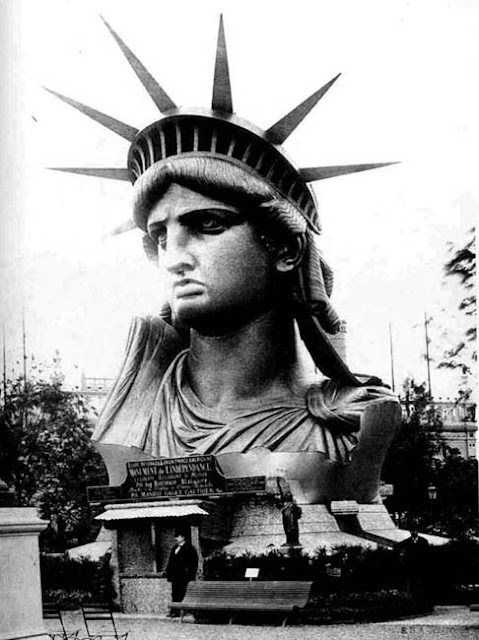 The Decorated House: ~ Liberty Enlightening the World - The Statue of Liberty ~ Happy July 4th! ~ Liberty Enlightening the World - The Statue of Liberty ~ Happy July 4th! This magnificent gift from France is now a symbol that holds a special place in the hearts of many. It is so hard to believe that Americans turned their back on this incredible gift of the statue as many proclaimed it was just plain ugly. It took the insight and incredible hard work of just a few people to build this stunning sculpture in her home where she is greatly loved today by us. If you get a chance to see a repeat of the PBS show about the statue, you might learn somethings you never knew about it. 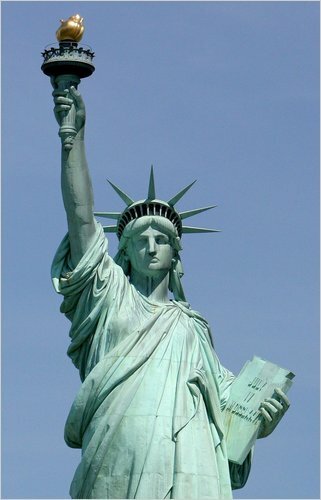 Today she still stands as a symbol of what most Americans want for our country. our quest for democracy, equality and compassion. The Statue of Liberty (Liberty Enlightening the World; French: La Liberté éclairant le monde) stands on Liberty Island in New York Harbor. She is a colossal size neoclassical scuplture of a robed woman who represents Libertas the Roman Goddess of freedom. She holds a torch in one hand, and a tabula ansata, or a tablet evoking the law, in the other on which is inscribed the date July 4, 1776. 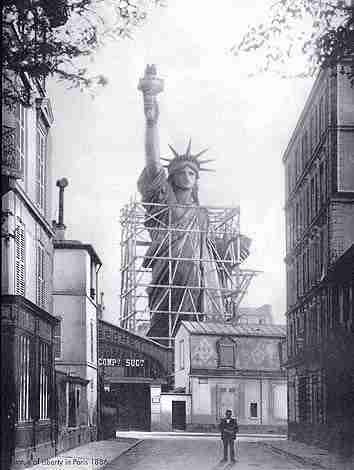 A broken chain lies at her feet which Bartholdi decided not to have her holding . 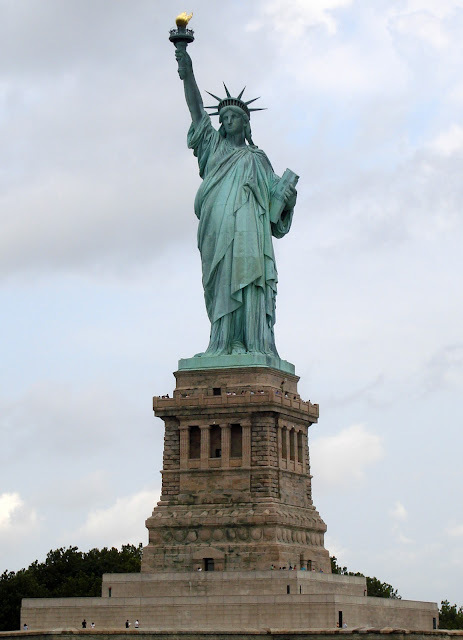 This beautiful piece of art was named and designed by Frédéric Bartholdi and dedicated on October 28, 1886. The statue was a gift to the United States from the people of France as a symbol of our countries' friendship. 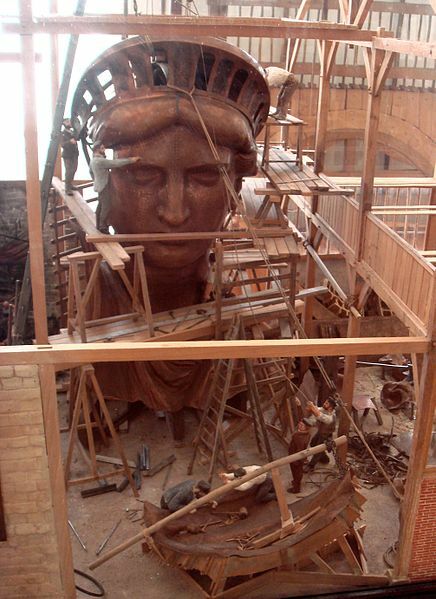 1886 The statue being created in Paris. The amazing original copper finish! Now you can see the patina and oxidation of the copper as we see it today. This is actually after a very long and painstakingly difficult job of cleaning away years of dirt and grime. It took many, many years for the Statue of Liberty to be truly appreciated, but it certainly is today. It remains a stunning piece of sculpture and art. A huge Thank You! to the France for this beautiful gift. Comments are closed. Thanks for stopping by.